flashgipper has no other items for sale. 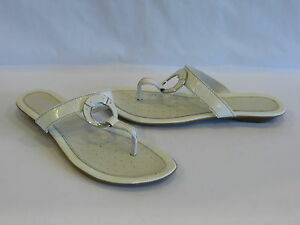 Details about Geox Ivory Patent Leather Thongs/Slides - 9.5M*/41 - NEW! Geox Ivory Patent Leather Thongs/Slides - 9.5M*/41 - NEW!